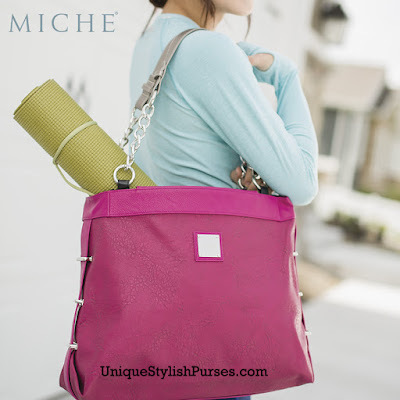 Unique Stylish Purses | Miche Bags: Miche's Ruby Prima Face is all about style and versatility! Miche's Ruby Prima Face is all about style and versatility! Ruby Prima is all about style and versatility! She can carry everything you need to hit the gym, then go straight to lunch with friends. Marble-textured faux leather in shades of berry features silver-bar hardware. Silver hardware; rectangle bottom; back zippered pocket.